By Scott Gilfoid: WBO light heavyweight champion Nathan Cleverly (22-0, 11 KO’s) has promised that he’ll be retiring from boxing if he loses to his hard hitting challenger Tony Bellew (16-0, 10 KO’s) on Saturday night at the Echo Arena, in Liverpool, England. Bellew, 28, will be helping him along by knocking him out and has even offered Cleverly a job as his accountant after he loses on Saturday night. What a nice guy Bellew is. Cleverly is going to need a shoulder to cry on after this defeat, but it’s really not going to be much of a shock because Bellew has some of the best power in the entire light heavyweight division. I’m not sure if he’s the biggest puncher in the division, but I’d definitely put Bellew at number #2 or #3. He hits very hard, as James DeGale found out during a sparring session with him. When Bellew is thinking knockout, he’s got crushing power that few boxers can stand up to. In his last fight against Ovill NcKenzie last July, Bellew showed another side to his game when he boxed the entire fight, using little more than his jab in showing some really nifty footwork and boxing skills in that impressive fight. It’s nice to know that Bellew has a part of his game to fall back on if he meets an opponent with a steel chin that he can’t take out with his big power shots. 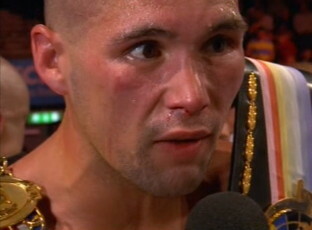 Cleverly will come out on Saturday looking to slug and he’s going to make Bellew’s job that much easier. Cleverly’s defense is nonexistent and he’s going to be walking into right hands in this fight. It won’t be long before Clevely is staggering around like he was against the light hitting Aleksy Kuziemski in his last fight in May.